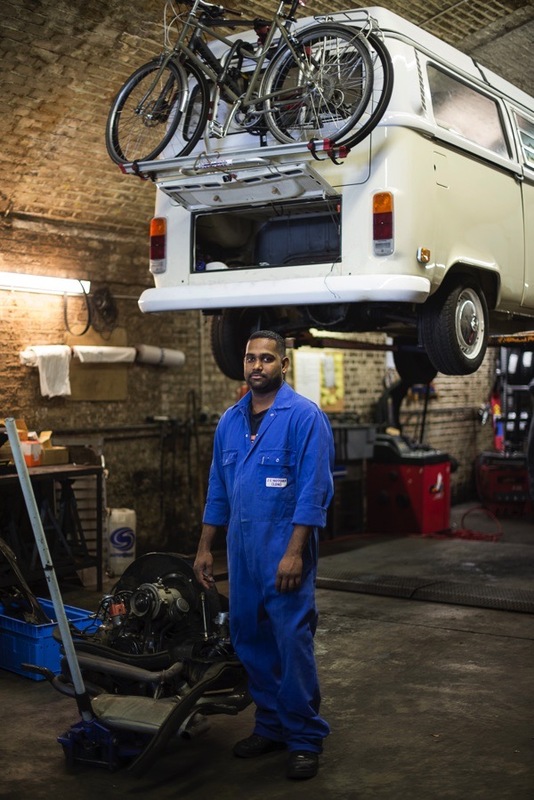 “I’ve spent my whole working life here in the arches,” Leonard Maloney admitted to me, when Contributing Photographer Sarah Ainslie & I went to visit him at JC Motors in Haggerston which specialises in repair of Volkswagen cars and vans. 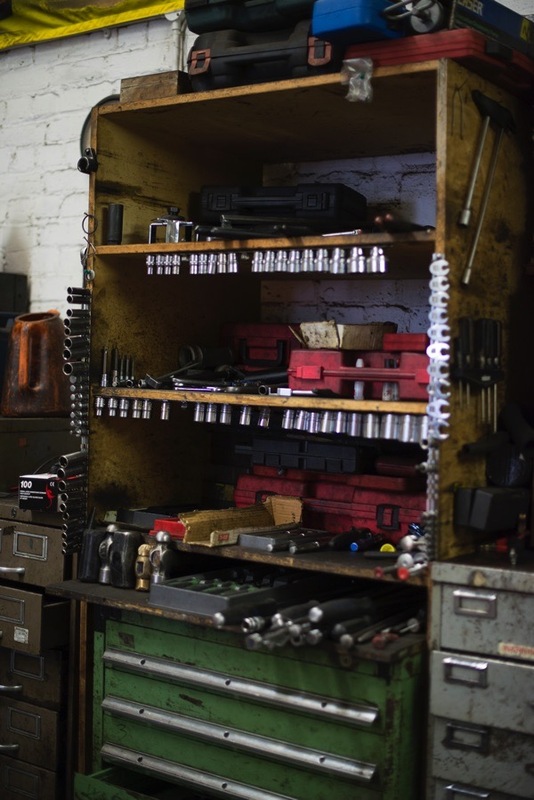 Len spoke placidly, shook our hands in welcome and made relaxed eye contact when we arrived at his garage, and I was immediately aware how tidy and ordered the place was. 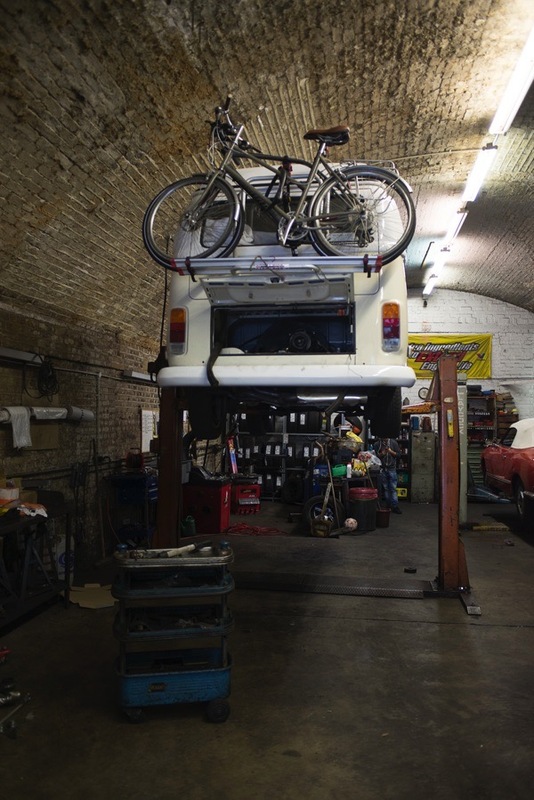 A peaceful atmosphere of mutual respect and concentration prevailed – a white camper van was up in the air undergoing maintenance beneath and the boot of a red sports car was open while repair was undertaken. 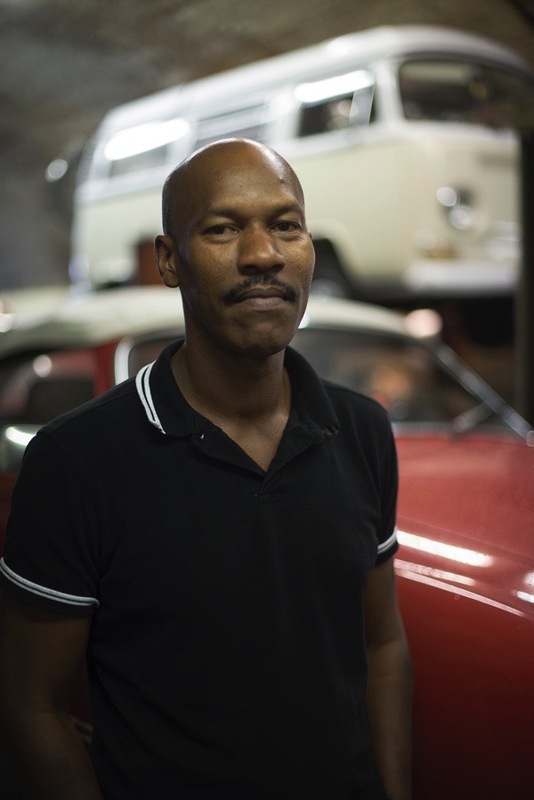 Len & I sat on two car seats at the rear of the arch to chat while Sarah photographed the motor engineers at work. 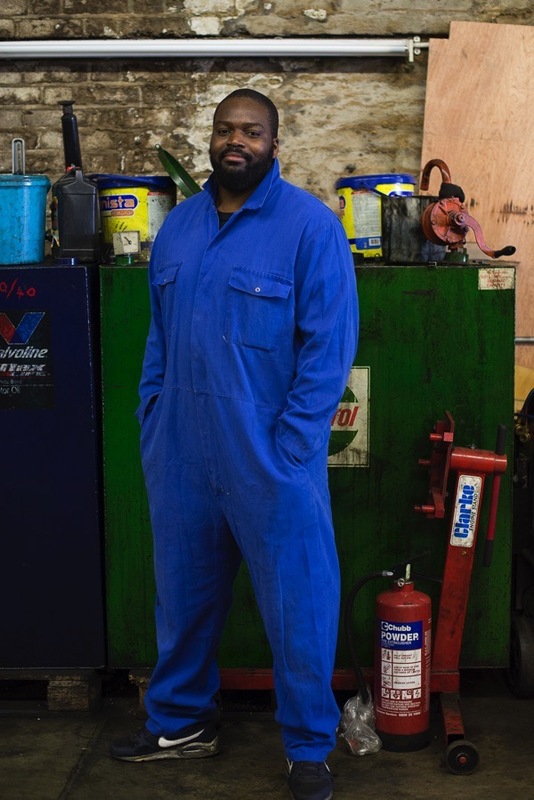 JC Motors has been serving customers for more than decade at this location and earned a reputation in the neighbourhood for honest pricing and reliability, and many of his mechanics are local people who have joined through placements and schemes. 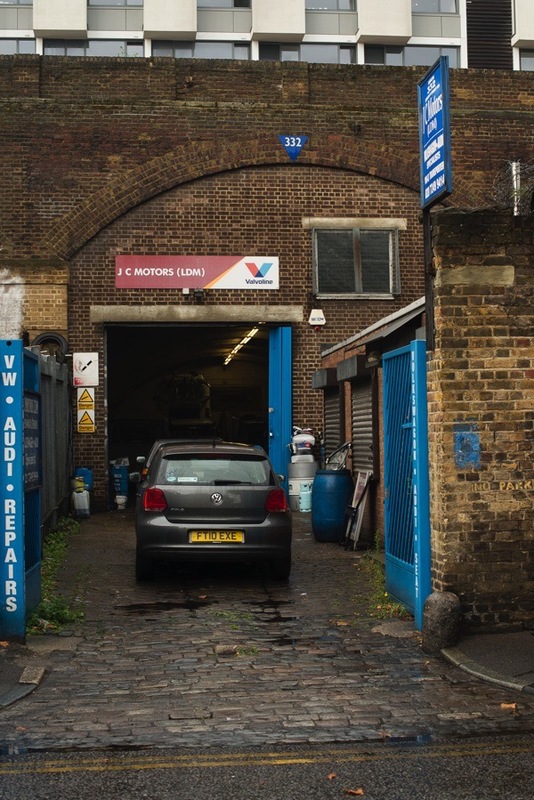 Everything might appear as it should be, yet there is an air of poignancy since Len – in common with many other businesses under the railways arches – lives with uncertainty since all the arches were sold off. 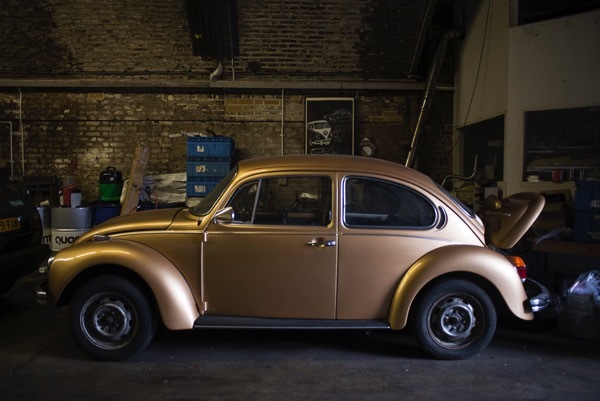 “My dad had an old Austin Cambridge that he used to repair at weekends and that gave me a taste for this work. 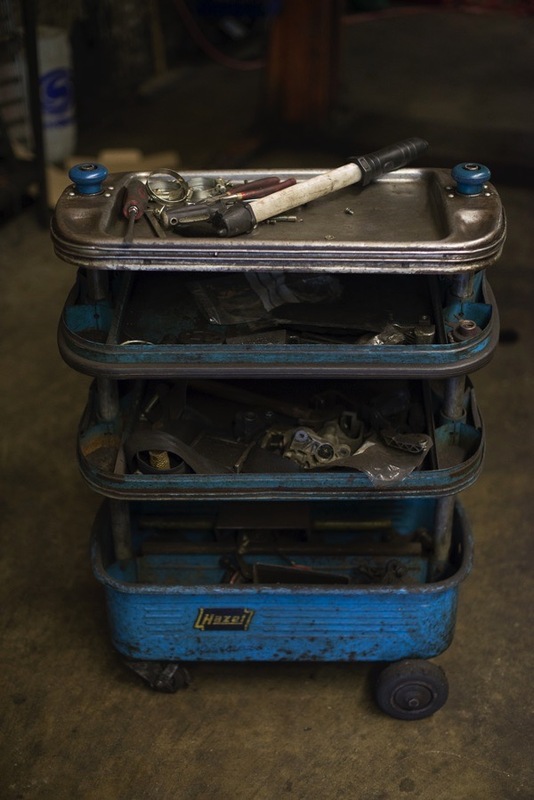 I’ve always loved taking things apart and putting them back together, and the smell of diesel oil has been attractive to me for as long as I can remember. At first when I left school, I went to work for Barry but he had an accident and lost an eye, so then I had to go back to Joe Chee and we began working together in 1982. 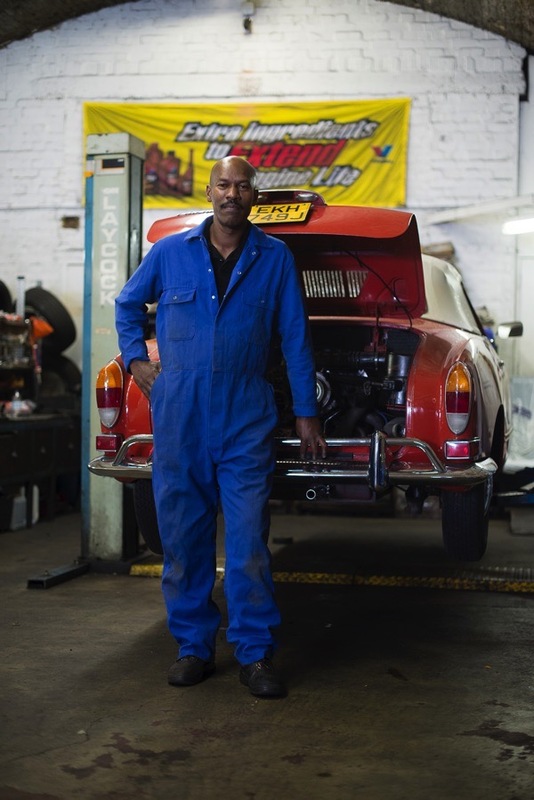 He was foreman at a Volkswagen garage in St John’s Wood. We made a great team and I learnt a lot from him. 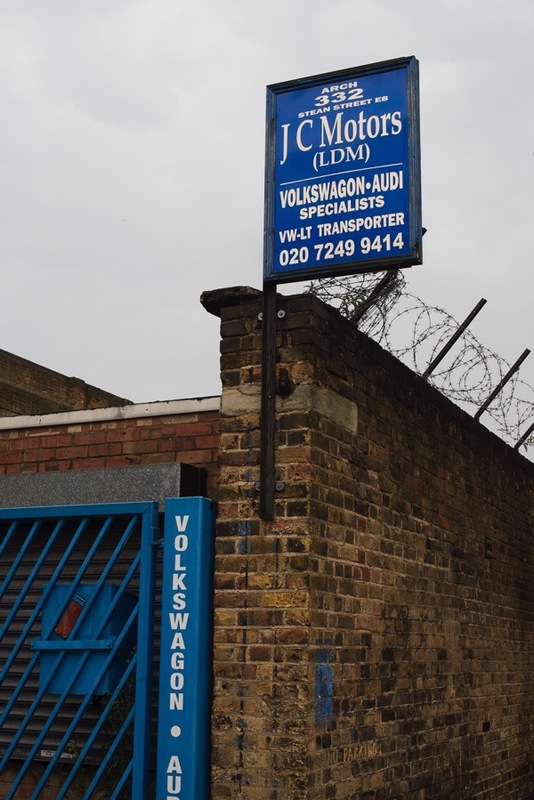 We started a body shop off the Kingsland Rd and a shop selling Volkswagen parts. That was fantastic and it carried on until 1999. 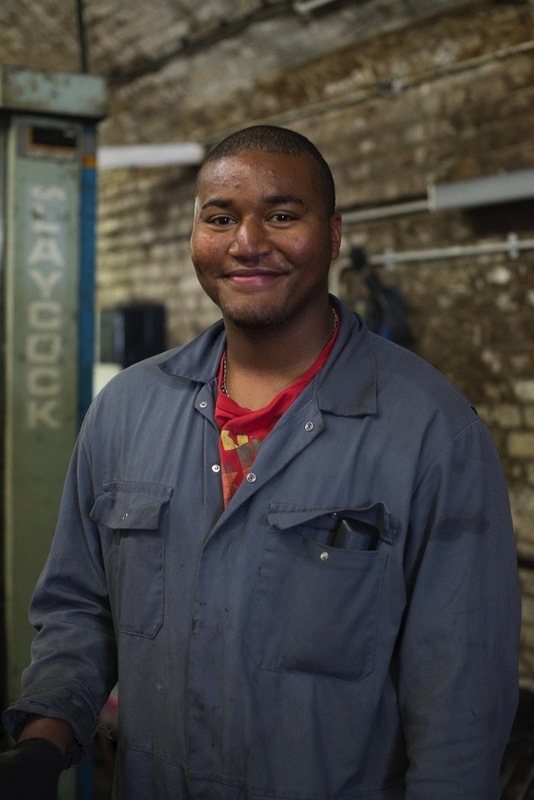 He did the paperwork and sold the parts and I ran the bodyshop, and we collected lots of customers and took on three apprentices. But eventually Joe Chee got ill and passed away and I couldn’t run the whole business, so I closed the shop and continued with the garage. 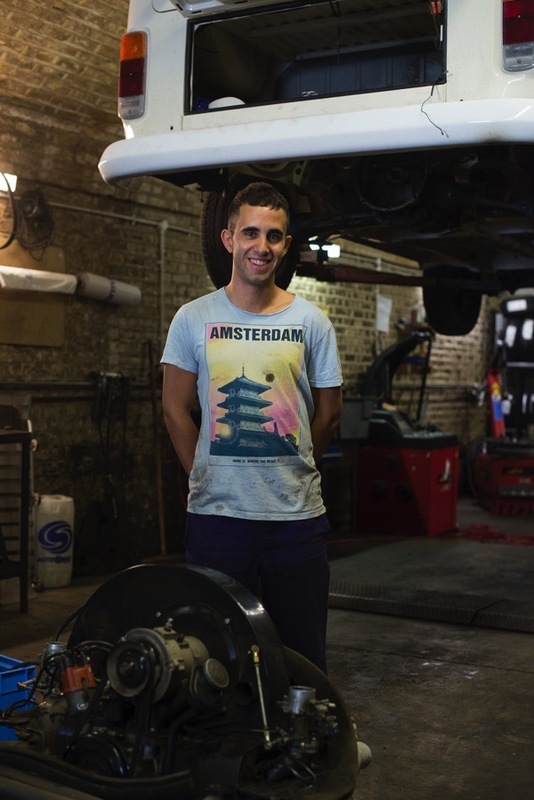 I hope Leonard’s J C Motors can stay where it is and continue to thrive; railway arches seem ideal for such a business, far better than yet another coffee shop. Best wishes to all of them. I do hope they and the other businesses don’t get moved out of the Stean Street arches to make way for ‘shinier’ businesses at any point. Must be so tempting for the railway company as the demographic has changed so much in the area. 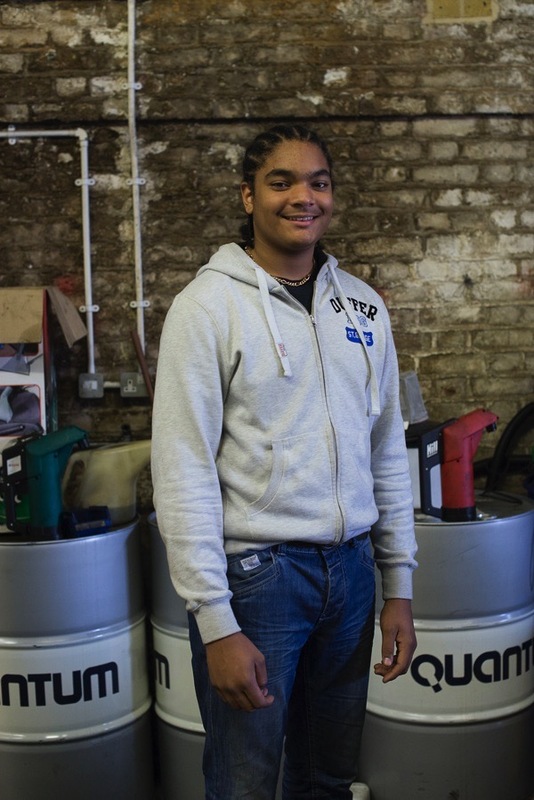 As a side note to TGA – Barnes Vehicle Hire, also on Stean Street, is an amazing local business. So well priced and an amazing service. I’ve always wondered what Julie that runs the place’s story is – she’s a great character! They look a good team at this garage. If I was closer I’d use them! 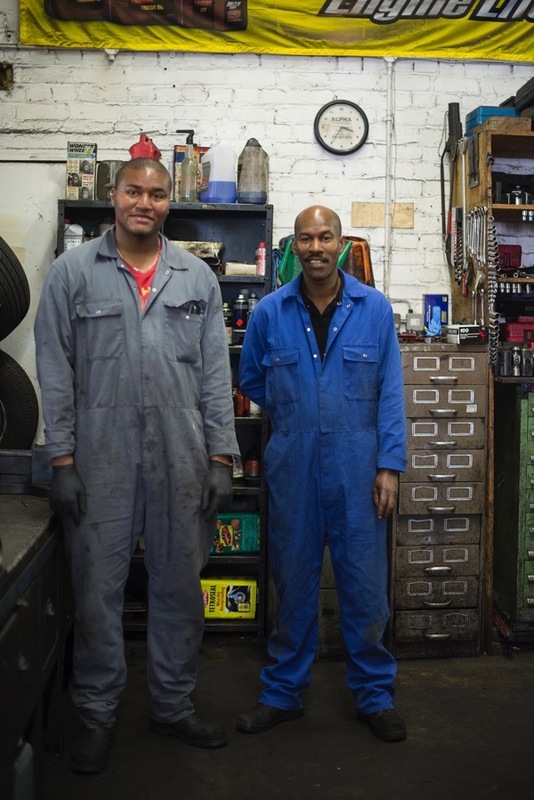 Having a good reliable mechanic is one of Life’s Great Blessings. 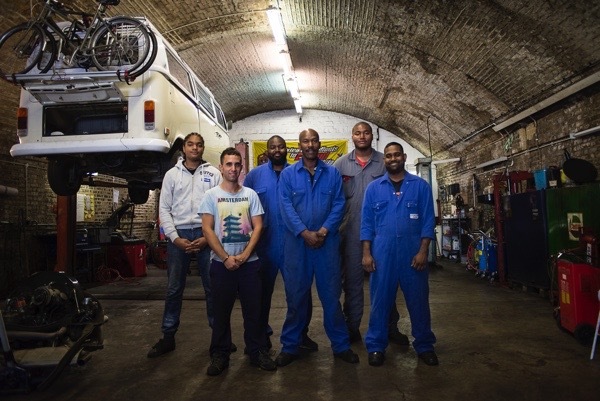 To the hard-working, earnest, tenacious workers at the garage: Live long and prosper, gents! necessary business like JC Motors. I am going to forward this to my mechanic, Dominic, here in the Hudson River Valley. Yes another sad story of a hard working man under threat from gready landlords. 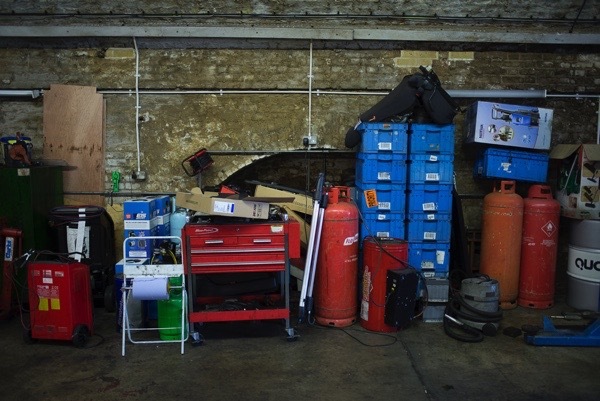 I think one of the signs of a good mechanics’ is a clean and tidy garage. Mr. Maloney’s is that.